Psychedelic drugs were created for use in treating mental health disorders. LSD (Lysergic Acid Diethylamide) was a psychedelic drug discovered in 1938 by Albert Hoffman, who accidentally took some when he ingested some residual chemicals during a drug development experiment. He began to hallucinate and then experimented further with the drug. Synthesized from mold spores growing on grain (typically on rye), LSD showed promise as a drug for use in treating schizophrenia and possible multiple-personality disorders where personality schisms are recognized. The United States military began to experiment with LSD in the 1950s, when they hoped to practice mind control and drug-based methods for interrogating enemy agents. Other uses for the drug were explored during this time in experiments famously held by Dr. Timothy Leary and Dr. Richard Alpert at Harvard Medical Center. Their experiments included dosing individuals with LSD to experience its “mind-expanding” properties during the "high" that ensued. They led groups of users safely through these experiments with very few incidents of “bad trips” or negative outcomes. This article answers the questions: What is LSD, who takes it, how is it taken, and how popular is it? During the drug culture that blossomed in the 1960s, LSD started being used for recreational purposes, with widely publicized events of people who experienced “bad trips.” Those types of incidents have since been exposed as over-reported. There are no known deaths attributable to LSD; but some reports of mental breakdowns, anxiety or panic attacks, and psychotic breaks have proved to have been at least partially due to LSD use. Researchers believe the psychotic episodes were exacerbated by the drug, but there is a strong possibility that the mental condition was present in patients prior to taking the substance. Other reports of “bad trips” from LSD indicate that the effects seem to wear off within several days or hours after the drug leaves the user's system. Users may have strong anxiety or panic episodes that diminish after the drug has worn off--symptoms that disappear altogether shortly after use. Some of these users return to LSD with little or no evidence of a repeat of these negative symptoms. The term psychedelic refers to certain aspects or effects of this class of drugs. This term describes the physical effects, combined with emotional and psychological effects, along with those termed spiritual or mystical by users. The experience of oneness and unity with the world around them, especially the natural or organic world, is common for users of LSD and other drugs in this class. It is the feature that led mental health professionals to seek a use for these drugs that could assist those who have specific mental health diagnoses that involve isolation, depression, loneliness, meaninglessness, and disconnection from others or from life. Many users report a strong sense of belonging and attachment after using LSD that had not existed before. Effects of LSD take some time to develop. The first symptom that users report is a tingling sensation along the nervous system, which is experienced as a pleasurable “chill” in the extremities. This can be followed by an increased heart rate, sometimes included is a metallic taste in the throat or mouth. Other effects are elevated body temperature, sweating and possible thirst. Most users are unable to drink or eat while on the drug, so they may experience some dehydration and/or hunger after the drug wears off. Effects some users report are heavy saliva production, warm or cold chills, clenching of teeth and jaws, nausea and insomnia. Other effects begin to appear after the onset of the physical effects. These are the psychological and hallucinogenic (psychedelic) symptoms that begin with visual effects, such as seeing heavy outlines around objects, then seeing them merge into one another, sometimes melting or pulsing, along with very bright effects of light and dark. Other effects some users report are the rhythmic heartbeat that can be felt, seen and heard coming from inanimate objects. This may be caused by the increased blood pressure of the user, which translates into visual hallucinations. As their heart rate increases, users may “hear” it coming from other places outside their body. 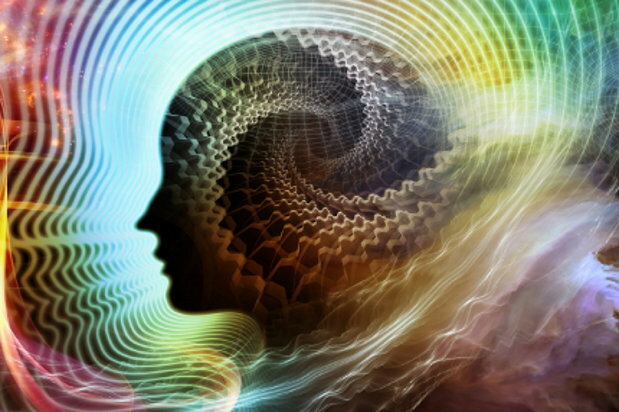 With increased doses and frequency of use, LSD may produce a phenomenon called synesthesia. This term is used to describe a symptom where users experience sounds as color or taste, or smelling as sound. They have sensory input that crosses realms and is experienced outside the normal range of sensory development. Users who take LSD frequently will develop tolerance to the drug and need higher doses than those who do not. This means that LSD will not have the same effect when used often. Those who use it infrequently or on occasion, will not experience this lowered tolerance for the drug and any diminished effects from overuse. When use is stopped or slowed down for any period of time, tolerance disappears. For this reason, there is no dependence on the drug. Therefore, addiction is not recognized with LSD. Users who believe they have taken too high a dose of LSD are those who experience “bad trips.” There is no physical risk with LSD, unless users attempt to operate equipment or drive a motor vehicle while under the influence. Some users who are alone or have psychotic episodes while on the drug may endanger themselves by trying to perform physical acts that are not possible to safely perform while hallucinating on this drug. Reports of people believing they can stop a train or fly from a high building while under the influence of LSD are primarily exaggerated and there is no strong evidence that substantiates these reports. Advocates of LSD use for gaining a sense of unity with others and their environment, as well as a sense of purpose and meaning, recommend that users choose the right environment and set the proper mood before taking LSD. This is to prevent them from experiencing negative effects or “bad trips.” It is believed that taking LSD in the company of safe people, in a quiet and peaceful environment, can induce pleasurable outcomes of the drug's psychedelic properties. The effects of LSD wear off after 6-14 hours, depending on dose and frequency of use. While there may be residual effects felt for several hours longer by some users, most of the side effects will be gone within 6-7 hours after taking the drug. There is no real withdrawal from LSD, but users may experience the need for sleep, since they have had an intense period of hallucinations and being high. Most users report thirst and hunger, along with the need for sleep. They may have muscle aches or tiredness from sitting or moving in unusual ways while under the influence. Some users experience nausea or sweating while high and have some residual effects, such as mild flu-like symptoms. People in treatment for overuse or abuse of other substances should refrain from using psychedelic drugs, due to their mood and mind-altering properties. There is little or no recognized clinical dependence on LSD, but those with addictive temperaments may develop a psychological dependence on the drug. With counseling and treatment, most drug addicts can achieve a similar sense of belonging and attachment to others as a result of spiritual development. Most recovering addicts report that this desire to gain a sense of belonging is why they took LSD or other drugs in the first place. Once they learn to develop their spiritual side, they are less likely to feel they need substances to maintain that sense of connection.